The design features a swivel display connection that makes it possible to turn the display through 360 degrees for achieving the best possible viewing angle. The remote control comes with no battery. The highly ergonomic and practical design of the device is combined with the decent visual performance of the display. This combination makes the player easy to use on the go and nearly in any environment, including the inside of a car as the device mounts on headrests (mounting accessory is not included) and is made to be shockproof. This model can play almost all new formats and codecs (except MKV), even if the size of the file is more than 2 GB. It also easily detects USB sticks and memory cards. You will be pleasantly surprised by this model's functionality since it allows watching films, listening to music and even reading e-books in TXT format. And if you have kids, they will definitely love the "Gaming Console" function. The built-in battery has a big capacity, allowing the device to work autonomously for about 5-6 hours, which is enough to watch 3 full-length movies. Some users point out the loud operation of the device. The APEMAN portable player is an affordable yet functional gadget, which significantly differs from the rest with its reliability: you can safely use it at home, in the car or on a long trip. It won't let you down and definitely won't let you get bored. 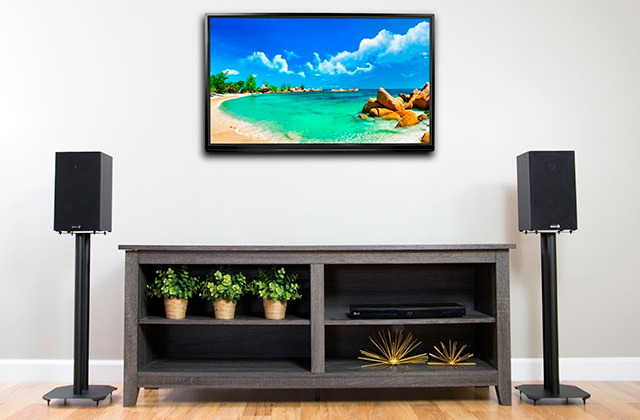 The wide connectivity interface, which includes an HDMI out, allows connecting the player to a display, flat TV or a projecting device to output digital video to such devices. This player has a considerably bigger weight than its competitors. 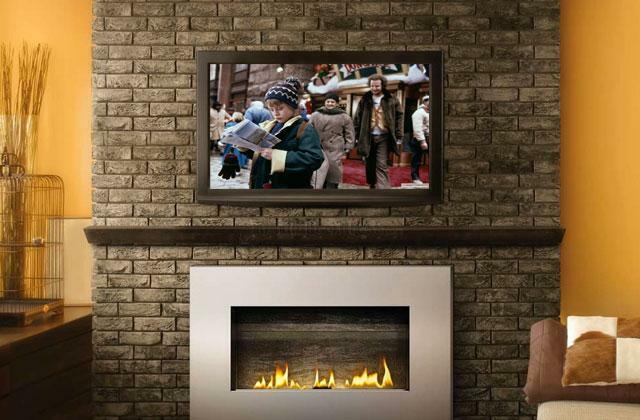 High-resolution screen brings you the comfort of watching your favourite movies and TV series. With that, the proprietary copy function enables easy content sharing with your friends. 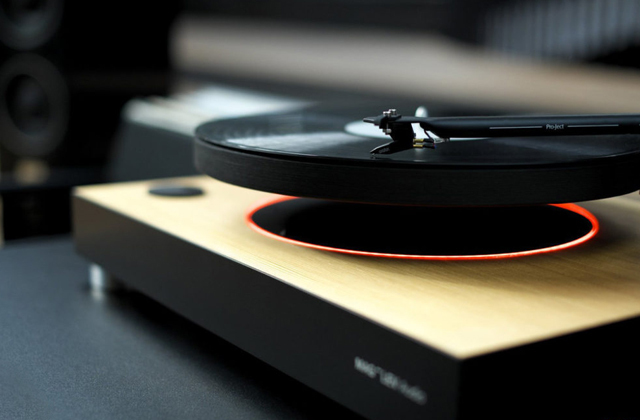 The advanced laser can play discs even with small scratches and scuffs. The drive boasts an extremely quiet operation due to the tight cap and slow rotation of the disk. Screen brightness and colours leave much to be desired. A compact size and small weight are two main advantages of this model: it will fit even in a small bag or backpack and will become a reliable companion wherever you go. And a 7.5-inch display and stereo speakers will be enough for enjoying your favourite cinematic masterpiece. When on a long car ride, many of us get bored or tired, either of which is true if you take children along. To make a long ride more entertaining for your passengers and less troublesome for the driver, you can use the advantages offered by the portable DVD player by DBPOWER, which was designed with an in-car-use scenario in mind. The fact that DBPOWER engineers considered an on the road use of this portable device seriously is easy to confirm if you take a closer look at the DBPOWER Portable DVD Player. First, this mobile player features a 9.5-inch display that swivels and rotates through 360 degrees angle to ensure the optimal visibility even for several viewers. Not only is the display swivel ergonomic, it can also reliably fixate the display in any position. 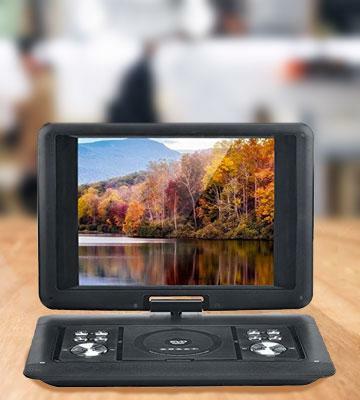 The rotatable feature of this portable DVD player also allows mounting it on a headrest of your front seats, though you need to buy a special mounting separately. 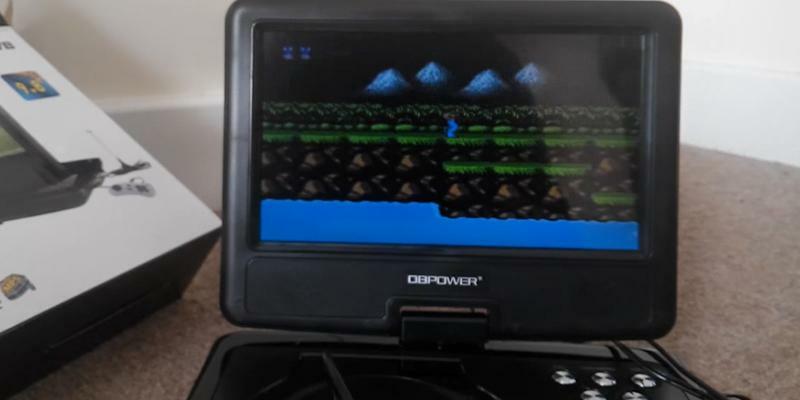 However, mounting this DVD player portable solution once allows you to preoccupy children for an entire trip keeping them attracted to movies or even video games as the player supports playing arcade games from the bundled disc (8bit games). Plus, the device has several design options, so you can purchase it in one of several colours (black, red or blue). 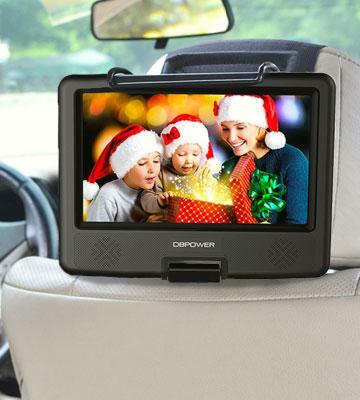 All in all, with this portable DVD player from DBPOWER, you can have a pleasant drive and for passengers in the rear seat, a fun one. 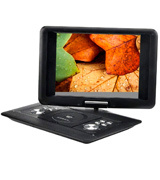 This device is definitely one of the very best portable DVD players for use on the go. And to enjoy quality films at home, take a look at our selection of Blu-Ray Players. 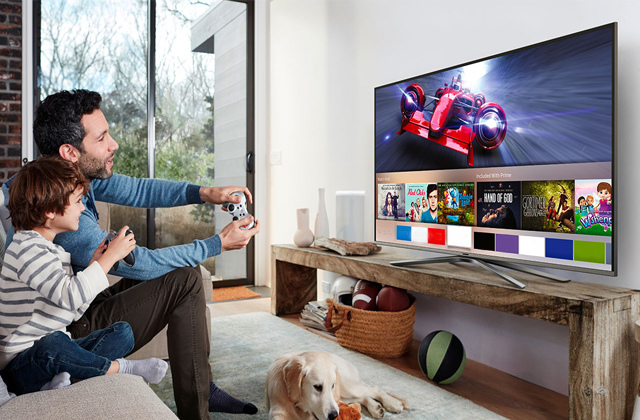 Looking for a device that will keep you entertained both at home and on the go? 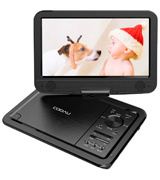 Take a closer look at the COOAU Portable DVD Player. Surely it boasts a number of cool features, but what we like the most is its impressive screen. 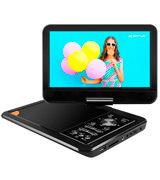 This 12.5-inch player has a 10.5-inch rotating display that offers a wide viewing angle and provides you with a vivid high-quality picture. 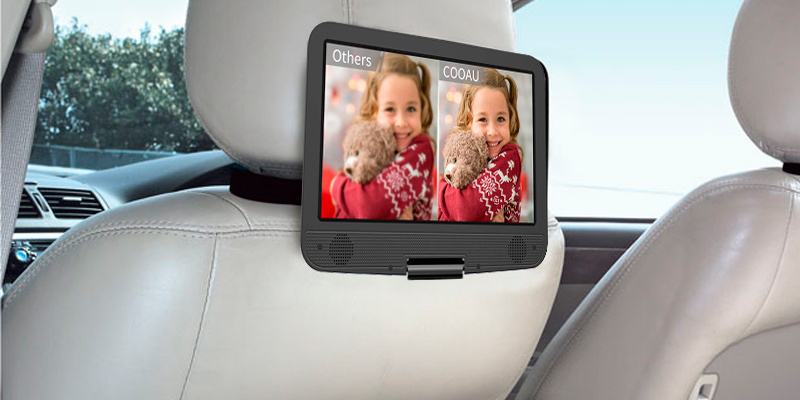 If you are planning a long car ride with your family, the COOAU player will provide you with entertainment during the whole trip. The device is fitted with a powerful battery that gives you the whole 5 hours of continuous work. And even if it dies, it can be charged with a special car charger, wisely included in the set. The next great thing about this model is that it is compatible with the TV. 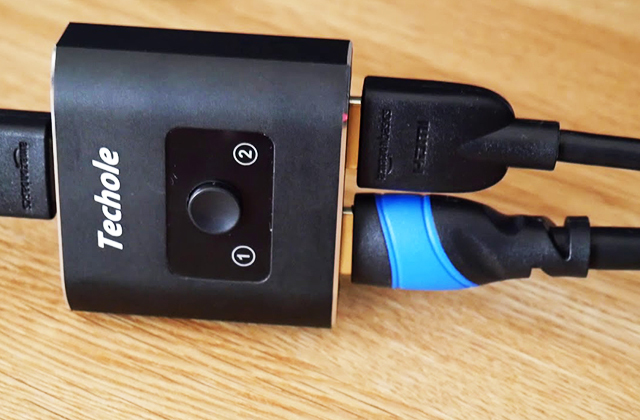 So, if you want to watch your favourite films at home on a bigger screen, simply select the AVIN mode, connect the AV cable, sit down and enjoy! And if you have kids, they will definitely love the "Gaming Console" function. 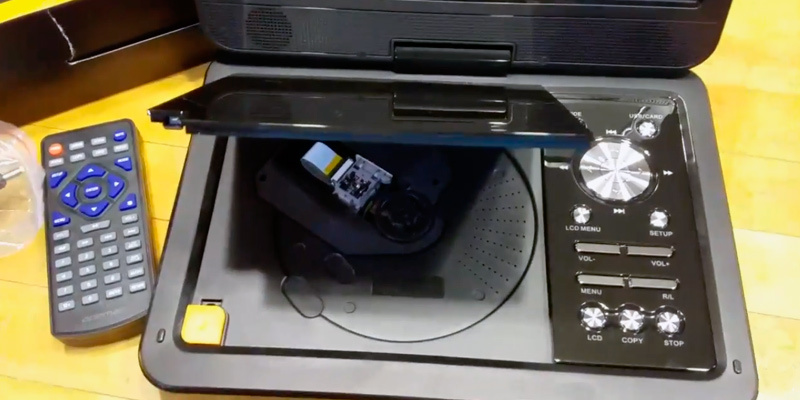 The only problem we have with this portable DVD player is that the maximum volume of the unit is rather low, yet a pair of speakers or headphones will easily fix this minor inconvenience. 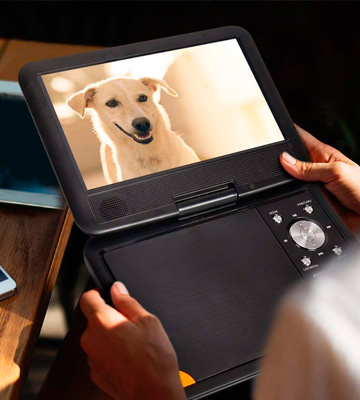 To conclude, the COOAU portable player has a rotating large screen for conveniently watching films and videos and can work for several hours on one full charge. 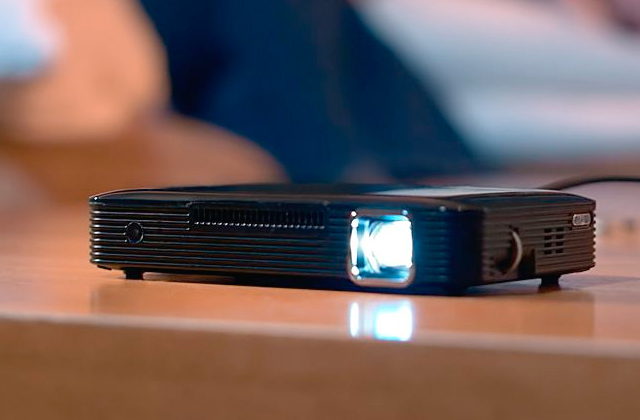 With this gadget, you will be able to watch films, listen to music, play games and even read e-books in TXT format. 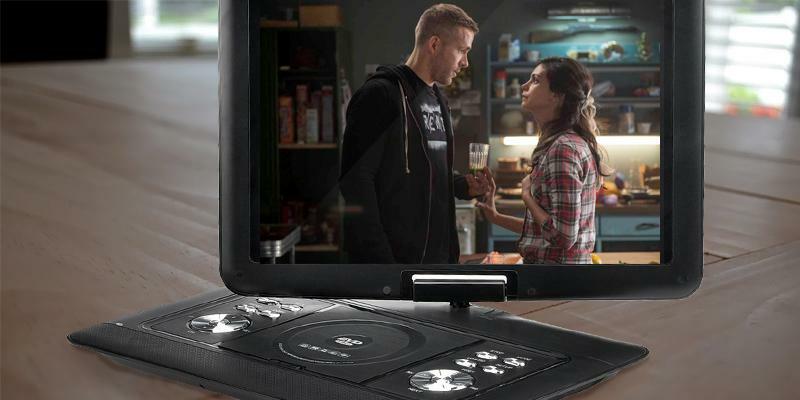 If you need a robust device to watch films at home and on the go, the Apeman Portable Player is a decent and affordable option. The device is fitted with a 270-degree rotating screen, allowing you to adjust it according to your needs. You can comfortably share with family or friends and enjoy watching films together. The TFT 9.5-inch display has a resolution of 800 x 400 and provides you with a decent picture. Plus, compact and lightweight, the unit will be easy to carry around even for a child. The device is complete with slots for USB sticks and SD cards for direct play. 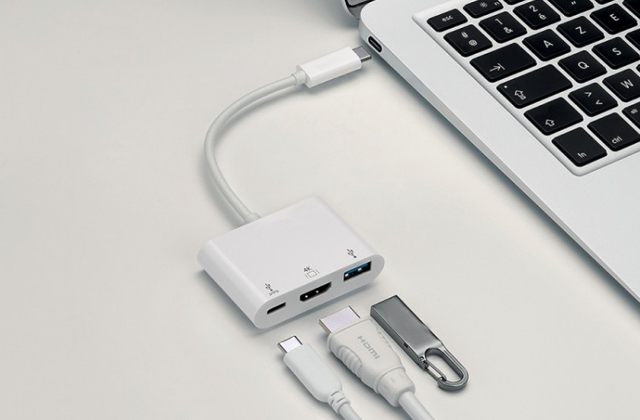 Plus, you can play video games via USB. There is also a standard 3.5mm audio jack for speakers and headphones. What we like the most about this gadget is its powerful battery. It has a big capacity, allowing the device to work autonomously for about 5-6 hours, which is enough to watch 3 full-length movies. Yet, this device is not completely perfect. The minor disadvantage of this model is that it might work pretty loudly. Yet, it remains a con but not a dealbreaker, and we hope it won’t spoil the enjoyment while watching your favourite films. In short, the APEMAN portable player is an affordable yet functional gadget. You can safely use it in the car or on a plane during a long trip or at home with your TV. Plus, we can also recommend checking out some DVD players for home use. When most of us think of a portable DVD player, it is the comfort of watching videos that is among the most important things we want from the player. 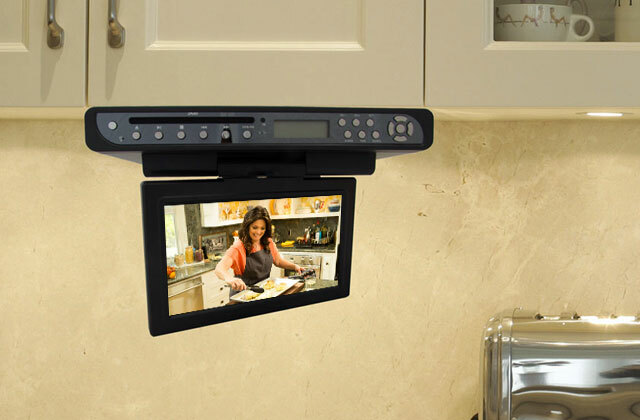 You will definitely get this advantage using this portable DVD player by BW. The first feature that greatly contributes to the comfort of watching is the large 14-inch wide built-in display that makes watching your favourite films and shows fun and comfy even when sitting together with a friend. The second beneficial feature, which naturally comes out of a large screen, is its high resolution of 1280 x 800 pixels. This rather high resolution provides a detailed picture across the whole screen space with no visible granularity or grain effect. 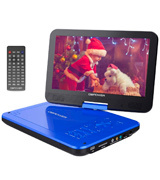 However, the features that ensure comfortable use of the device are not confined to the screen, as the extended connectivity of this portable DVD player brings not only a USB input port but a set of analogue audio/video ins and outs, and even an HDMI port. 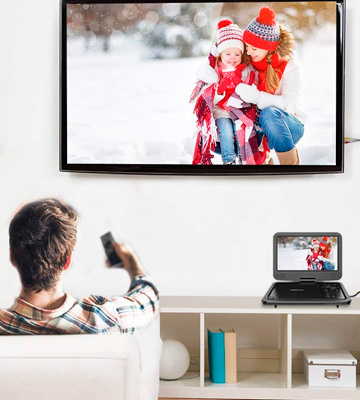 While analogue outputs allow you to connect this BW portable DVD player to TVs, projection devices or video cameras, the available HDMI port allows video output to displays and flat panels using a high-quality digital interface. With that, the Copy Function allows you to share interesting content with friends and relatives. That is why we can say that this portable DVD player targets an audience consisting of people appreciating the comfort of watching videos. So, the BW Portable Player will make sure you stay entertained wherever you go. The wide high-resolution screen brings you the comfort of watching your favourite movies and TV series. With that, the proprietary copy function enables easy content sharing with your friends to always keep in touch. After the beginning of the production of portable DVD players, the Apeman company is definitely on the purple patch. Each of their devices boasts robustness and reliable work and provides its user with fun activities anywhere, anytime. That's why they gained a lot of popularity among many buyers. The model we have here is the Apeman JG-PV770-UK. It is a mini DVD player with a 7.5-inch screen and a weight of about 1 kg. 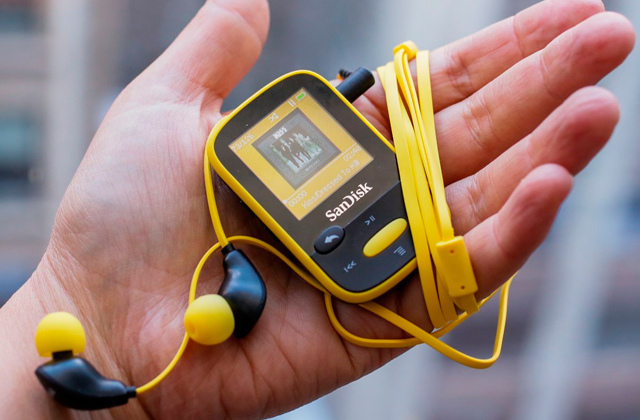 Being so compact and light, this device can easily fit into a small bag, backpack or suitcase. The smaller the screen is, the lower the price, thus, if you are on a shoestring budget, the JG-PV770 should be your top option to consider. The device is fitted with stereo speakers and provides you with loud quality sound; however, the picture may not be that good. The brightness and colours of the screen leave much to be desired. Yet, it is still enough to enjoy your beloved movies. The device is built with an advanced laser. Thanks to that, it can play discs even with small scratches and scuffs. 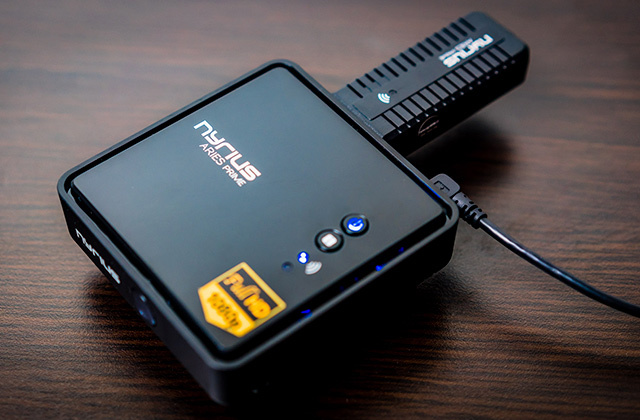 The drive boasts an extremely quiet operation due to the tight cap and slow rotation of the disk. That’s why if you are on a crowded plane or train and want to enjoy some movies at night, with the Apeman player you don’t have to worry about disturbing anyone. 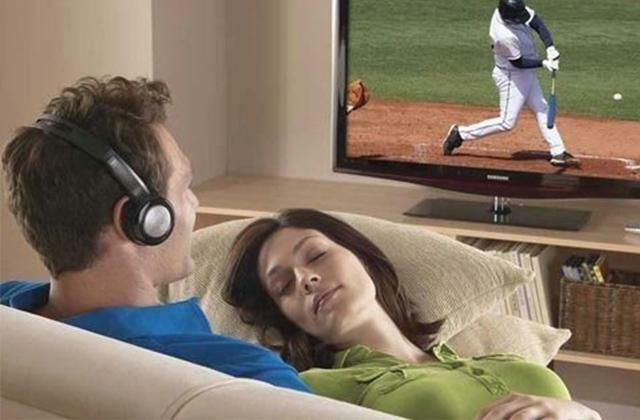 Just plug in a pair of headphones and enjoy any favourite film or TV show of your choice. 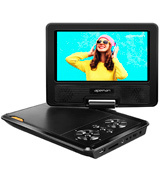 The Apeman JG-PV770-UK portable DVD player is a compact and affordable model for all the movie lovers who happen to travel a lot. With it, you won’t get bored on the road. You can find a vast array of portable gadgets on the market today that have become a part of our everyday life. The DVD player is among them as well. This small but extremely useful device can stream any entertainment content from DVD discs and other digital collections and keep people amused when they need to while away some time. Some of the players can pick up a broadcast TV signal, this way becoming a real TV-set on the road. In this review, we've given you a comprehensive comparison of the best portable DVD players available on sale for you to choose the one you need. If you need a device specifically for TV/DVD playback in a car, we recommend reading our review of portable TVs and picking one of car DVD players. Your comfort fully depends on screen characteristics so make sure that you pick the right one. The average screen size for use by 1-2 people measures 9-12" diagonal, but you can find a bigger screen if you want to have a more detailed picture before you or you mean to attach it to a headrest for other people's use. Consider the resolution, for it directly affects how clear the displayed content will be. Most modern portable DVD players now support Full HD. To be able to watch large-format movies with maximum comfort and minimum picture distortion, it's important to make sure that the chosen DVD player has a 16:9 display ratio where for streaming the content from TV 4:3 would be more than enough. Picture brightness, contrast and field of view are mainly predetermined by the panel used in DVD player. TFT thin-film transistor is most popular today and widely used in DVD player production. Another important characteristic to be considered is the ability to read and play different formats and storage devices. It is understood that the more formats a portable DVD player supports, the more playback capabilities it provides. A good player should always be compatible with such disc formats as DVD±R/RW, CD-R/RW, and also support MP3, WMA, and JPEG formats; playing files in MPEG-4 and DivX is a plus. Some advanced models can boast of Blu-Ray media playback, but of course, they are more expensive. 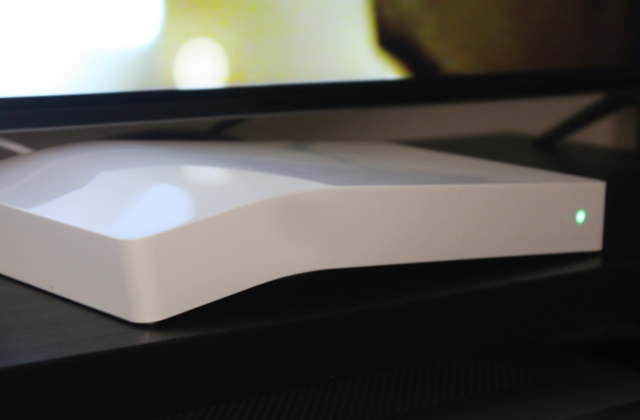 Actual models can be easily connected to a TV or AV receiver via HDMI or analog component/composite connector. In addition, most portable DVD players have a USB port and card reader to playback files from external data storage devices. Some players are equipped with IR transmitter for wireless connection to earphones, headset, etc. Also, some models have a built-in TV/FM tuner that allows watching TV programs and listen to radio almost anywhere, plus some manufacturers equip their models with games to make journeys more fun for their owners. In most cases, portable DVD players have a swivel screen that can rotate all round 180 degrees for optimum field of view. It would be great if a player is packed with a case/bag for convenient transportation. Some models may have a bracket to be placed on a car headrest, which is also very handy. If you plan to use the DVD player on the road all the time, pay attention to its size and weight. A player can be controlled via a remote control or control buttons. Also, take into consideration the built-in battery capacity. Some models can provide battery life up to 5 hours. 1. Jason Hidalgo Before You Buy a Portable DVD Player, Lifewire. February 23, 2016. 2. A Guide to Buying a Portable DVD Player, eBay. March 15, 2016. 3. Harvey Norman Portable DVD Players Buying Guide, Harvey Norman. 4. Stephen Lilley How to Choose a Portable DVD Player, Overstock. 5. Portable DVD Player Buyers Guide What is a Portable DVD Player? Thoroughly Reviewed.